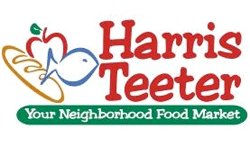 Here are all the deals and coupons for Harris Teeter starting on 10/10. As usual it’s a long list with quite a few unadvertised deals included. This week I included super doubles pricing for those select few of you in Charlotte and Virginia who will have Super Doubles on Wednesdays throughout October. If you find more deals, leave a note below! Large Carving Pumpkin, $5 ea.